Avast rowing! Even if it’s not the Talk Like a Pirate day yet, it’s already a good time to pirate yourself (at least in a photo). 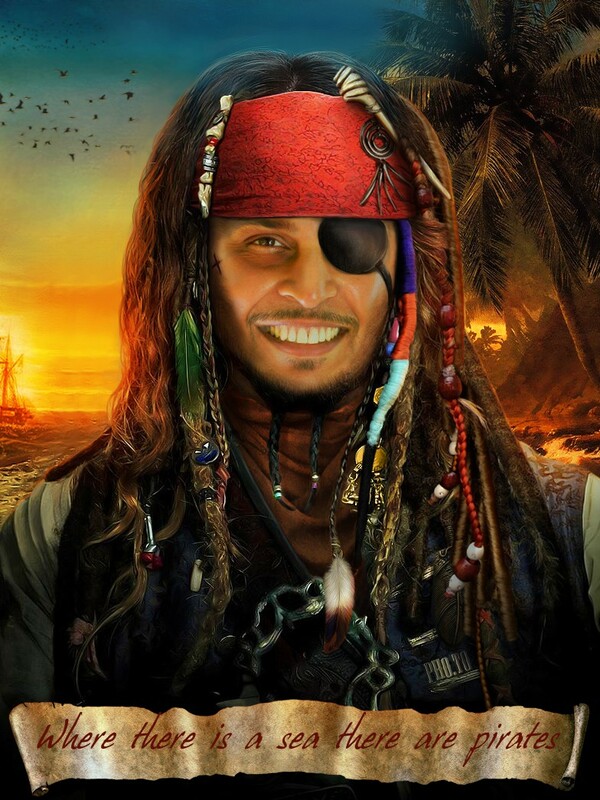 Try this ‘Pirate me’ photo effect and become a real Caribbean filibuster. Have fun, and ARRRR! 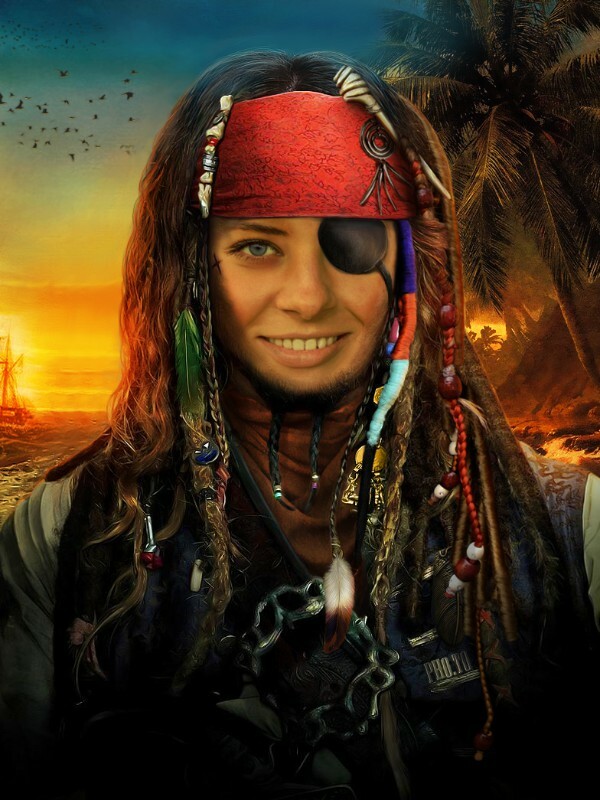 On the day when everybody talks like a pirate, people often search for different photo templates and effects which can make them look like real pirates. If you are one of them then this face montage is just what doctor ordered! 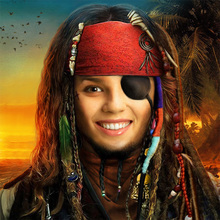 Use our ‘Pirate me’ photo editor to piratize your photos online and for free. Feel the Talk Like a Pirate Day spirit! All you need to pirate yourself is your front photo portrait. The higher the quality of your photo is, the better face photo montage you’ll get. Besides, many people would like to piratize themselves on Halloween or the day of the dead. Why to make an awesome Halloween avatar where you wear the Jack Sparrow's costume? Just because it's fun! Surprize everyone on Facebook and Twitter by sharing a new profile picture where you look just like the pirate of the Caribbean!